Moon rise can be as beautiful and dramatic as a sun rise. 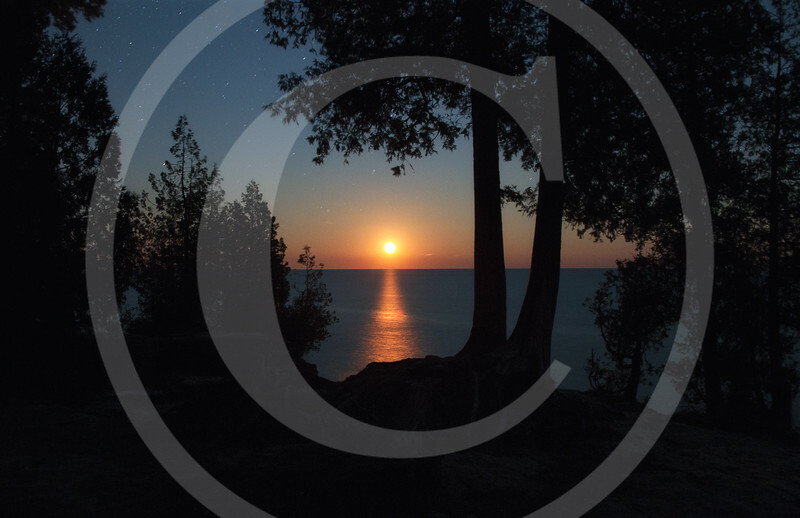 And the best part, you don’t need to wake up early ;-) This was from a lovely night at Door County, Wisconsin. The moon rise did kind of mess up with enjoying the milky way, but the dramatic light, compensated for it. The moon light was so bright, that it lit up the entire cliff. Had lot of fun with trying out some fun compositions like this. Even a shooting star (Draconid) decided to accompany us.